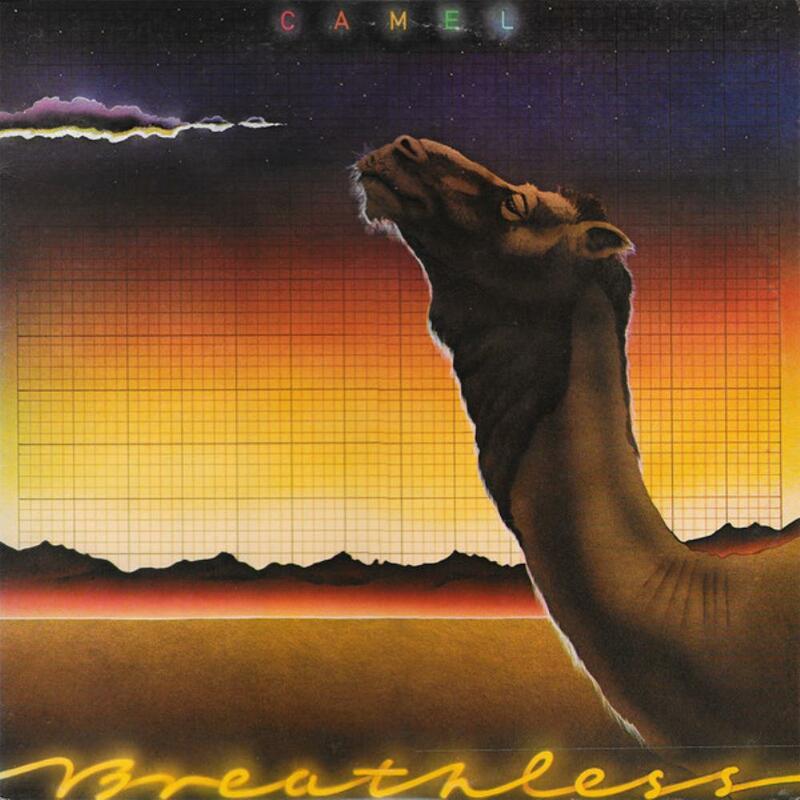 A lot of people like to hate on this album, claiming it is "too poppy" or "not real Camel" and I'll admit I felt the same for quite some time. But over the countless listens to this album i've grown to like it. In fact, I recommend it highly for fans of Camel and others alike. Breathless| 7.5/10 Pretty standard pop here, and I can't help but think that my liking of this song is mostly influenced by Sinclair's voice. Overall, there's not much to be said about the song. Echoes| 9.5/10 Absolutely brilliant song. It's often said to be one of the finest they've ever recorded, and I couldn't agree more. For me, this song is a solid example of conservative vocalizing. Now, I am not a huge fan of Latimer's voice (that is until Rajaz), but this is a perfect song for him to sing. The real shining star of this song is Andy Ward. I've always loved Ward's approach to drumming, and this song is no exception. The instrumental parts are simply incredible. Wing and a Prayer| 6.5/10 Since I began my Camel listening with the classics (Moonmadness, Mirage, Camel), I can't help but dislike this song for one plain reason: Peter Barden's vocals. I love Barden's vocals, but this is not the song for them. The vocals come off rough and I cringe every time I hear the line "The pavement sticks like glue". Now that isn't to say that the song is not good. The instrumentation is pretty good, but the vocals ruin it for me. Down on the Farm| 7/10 Unlike the last song, the merit in this song is (mostly) vocals, but for very different reasons than most other vocally superior songs. Richard Sinclair wrote this song, and it comes off as a slightly rougher Caravan song. And it most certainly is. The lyrics are clever and Sinclair's delivery of them makes them even more worth listening to. Aside from the whirring flute throughout the duration of the song, there's not much to be said for the instrumentation. Starlight Ride| 4/10 Remember when I said I don't care for Latimer's vocals? Here is one example. The song is quite good in the context of the album. After the "pseudo-rocker" of "Down on the Farm" comes this song; calming and serene. Latimer's vocals are simply at their worst here. They aren't necessarily bad, just misplaced. Summer Lightning |8.5/10 Is disco bad? Absolutely. Does it have any musical merit? Yes. Case in point: Summer Lightning (and Another Brick in the Wall, Part II). I actually believe this song, with its similarities to Another Brick in the Wall, Part II (sorry). The main difference is that ABITW is woefully overrated and considered to be one of Gilmour's finest solos, whereas this song is highly underrated (god forbid Camel try and do something different) and Latimer's 3-minute closing solo is simply amazing. The vocals are delivered by the master Mr. Sinclair very delicately and effectively. You Make Me Smile| 3/10 This song is simply uninteresting and it certainly does not make me smile. The Sleeper| 8/10 This is Lunar Sea part deux, I don't care what anybody says. Lunar Sea was an amazing song, and this is it's jazzier cousin. It has the benefit of being accompanied by Collins' fantatic sax and really delivers a nice sound, but overall it misses the mark set by Lunar Sea (which is not something to be ashamed of). Rainbow's End| 5.5/10 Again, not a good piece for Latimer to sing. His falsettos (if they are indeed his) bother the hell out of me. However, the song itself brings the album to a close very effectively, and the instrumentation is crucial in this.